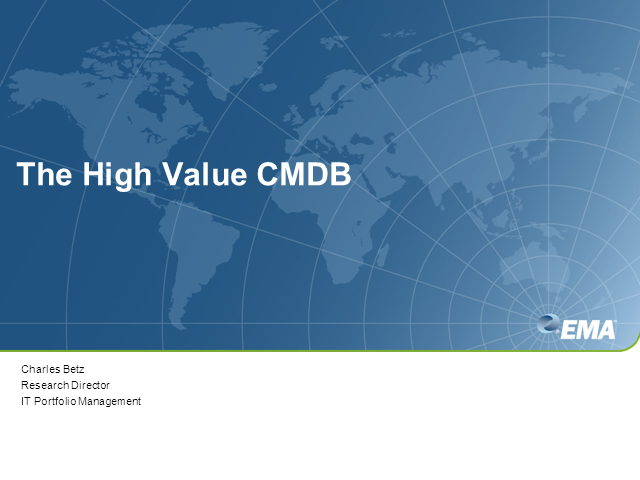 Ten years after the concept of the CMDB began to gain traction in the US, it remains controversial. Is it worth doing? Is it even possible? What about the related topics of Configuration Management System and Service Knowledge Management System? Join EMA research director and published CMDB practitioner Charles Betz as he discusses how to approach the CMDB in terms of your real world needs, return on investment, and execution. He will discuss the ITIL theory versus the realities of implementing these complex and challenging capabilities in dynamic and politicized IT environments.